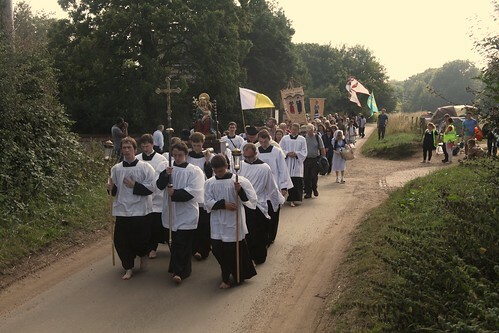 You can now book for the 2015 LMS Pilgrimage to Walsingham: walking over three days the 55 miles from Ely to Walsingham, accompanied by the Traditional Mass and devotions, in the spirit of the great Chartres Pilgrimage, 27 to 30 August 2015. Here is a little video about it. It is an unforgettable experience, plus hot evening meals! 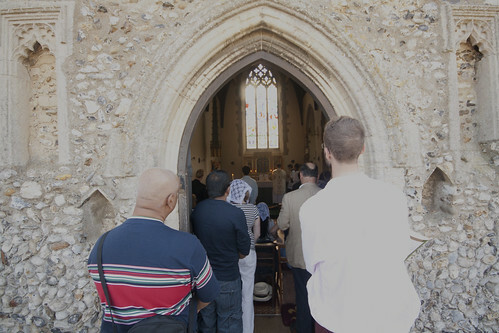 Show your devotion to Our Lady, walk in the footsteps of your Catholic predecessors, do some penance and take some important intentions to the feet of the Lady of Walsingham. Mass in the Slipper Chapel at the shrine. The cost is £75 for an adult, if you are an LMS member - and you can join at the same time. There are generous discounts for students, and all are welcome.